The opener "Verso i cancelli della memoria" (Towards the gates of memory) is like a kind of dive into the past for a swim against the tide, against the doubts of an empty reality. A church-like organ sets the atmosphere, then rhythm takes off... "Running after myths of wind / Looking for a living star / Overcoming a world of falsity and appearances... Listening to the silent voice of a timeless truth...". "Contemplazione" (Contemplation) is a long and melancholic track that begins softly, with a simple and nocturnal acoustic guitar arpeggio, then a light turns on and soaring thoughts begin to fly in the wind... A sudden change of rhythm and the call of an ancient time is rising from dreamy organ chords inviting you to set your mind free... "Who do you think your greatest enemy is? / It' your own home, it's your own body / It's your own mind, it's you / Get free from the monsters fed by your pride and by your stupid vanity / What is the road you think will lead you to the Right? / Even your brain is getting lost on the paths of the solitude...". "Notte volante" (Flying night) begins on the dreamy notes of a flute and of an acoustic guitar... "I've been walking for you / In the nights of the dream / Among breathing plants I followed the road smelling of forest / Towards far bonfires / I was still sane...". In the dreams you can play even with death but remember that dreams could turn to nightmares... "Now there's nothing but pain / Just powder shut in a little box / You are my death / I live for you just because you know how to make me laugh...". "Tentazioni" (Temptations) is more aggressive and complex and features also some jazzy passages. Love can be deceiving and cruel, your unfaithful lover could make you fall into the breath of an icy abyss... "Your hand pushes me in the mud / Setting your thighs free for a new trick...". 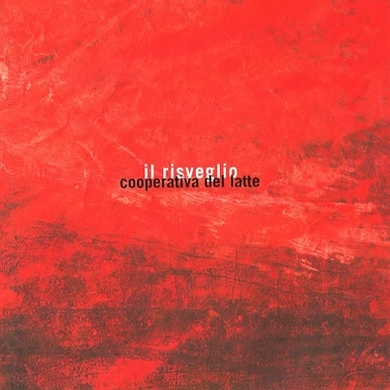 "Maggio" (May) is a short instrumental introduction to the beautiful last track, "Indagazione strutturale" (Structural investigation). This piece has a strong Renaissance flavour and starts "a cappella"... "Like a tree in the forest of time or a cloud living in the sundown / I'm looking for something I feel I belong to...". Lyrics are about the eternal search for knowledge while music could remind of some works of Angelo Branduardi with some "deep red" acoustic passages... "I feel the weight of my pride / But I'm walking with the curious pace of man... In front of every knowledge I feel my heart pulsing...".